– we would like to help you make your holiday memorable. 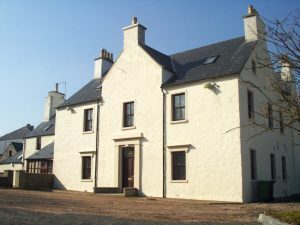 Built (c) 1750 this beautiful building was once an old manse. 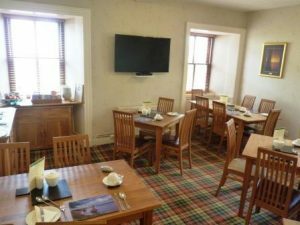 Located near the centre of Thurso, Pentland Lodge House blends the spacious luxury of old style rooms with contemporary style and modern facilities. 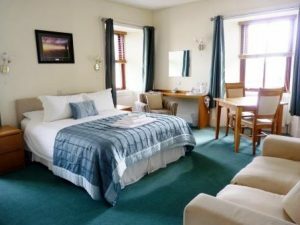 Photographs of all our rooms are shown later and you can select the room you would like. We will serve early if you have to catch the ferry or later if you find our comfortable beds too appealing. Our breakfasts are cooked to order how you like it. If you have any dietary requirements please don’t hesitate to ask for alternative products, we can easily provide ‘free-from’ products when requested. Excellent internet signal for free wifi throughout the house. Free access to the local swimming pool, steam room, sauna and gym with our High Life card. Complimentary pick-up from the last train (must prebook). Snack style supper tray can be provided as room service (must prebook). Discounts offered on longer bookings. Tourist Information Help with your holiday plans (click here). Free Electric Vehicle Charging Station.